We recently performed a deadlock upgrade. 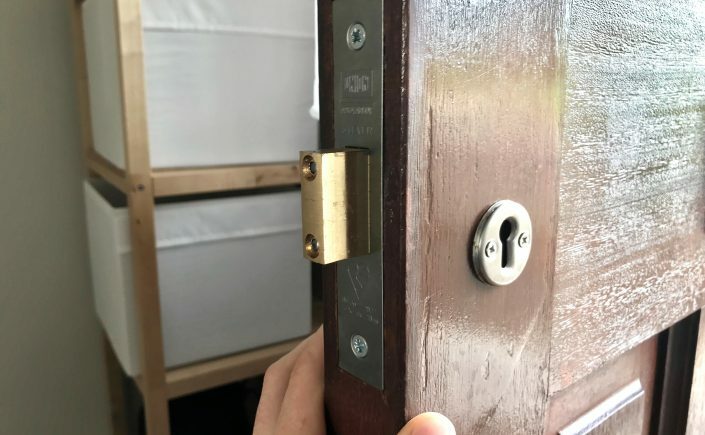 A customer in Central Hove was concerned that their current Yale nightlatch on a wooden door wasn’t enough security so they contacted LBP locksmiths Brighton. Initially, we advised them over the phone what their options were and quoted them to supply and fit a British standard deadlock. The customer was very happy with our competitive price and availability to install it. The next day LBP locksmiths Brighton had installed this Union 3G114e deadlock in a chrome finish. The customers were very satisfied with the workmanship, communication, and price.